The featured Christmas Tree at Disney’s Contemporary Resort is outside on the promenade, which can be viewed from inside the monorail station. 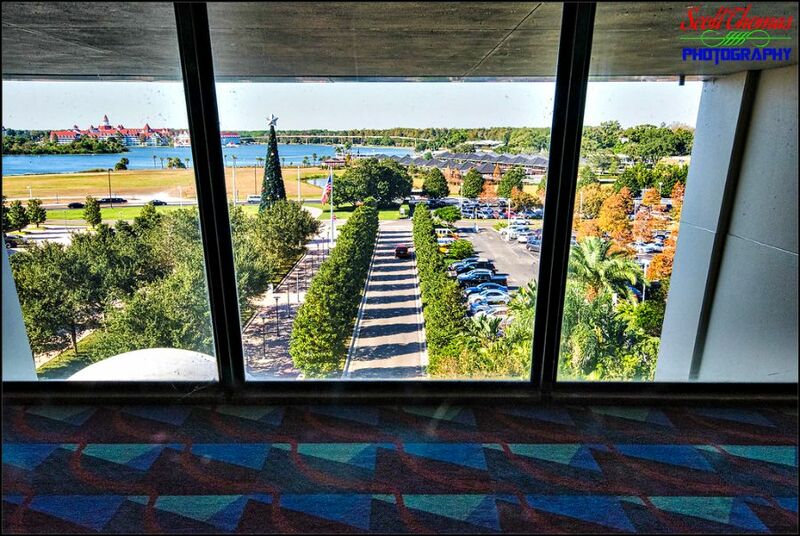 View of Disney’s Contemporary Resort’s promenade from the monorail station in 2016. Nikon D750/16-35VR, 1/125s, f/16, ISO 3200, EV 0, 35mm Focal Length. It is futuristic looking in its perfect triangular shape, reminiscent of the Contemporary’s own shape. 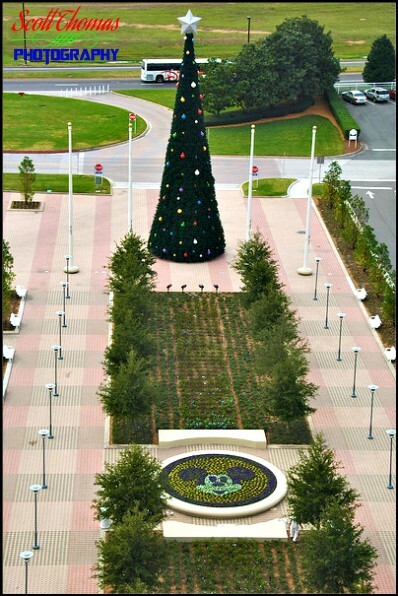 Disney’s Contemporary Resort’s Holiday Promenade from 2008 with Mickey Mouse floral garden. Nikon D70/18-200VR, 1/100s, f/16, ISO 200, EV -0.3, 56mm (84mm DX) Focal Length. Back in 2016, I visited the Contemporary’s promenade during Blue Hour. For the upcoming AllEars.Net Picture This! Resort Christmas Tree Photo Tour (click the link for details), weather permitting, I will bring the tour to this location about the same time. 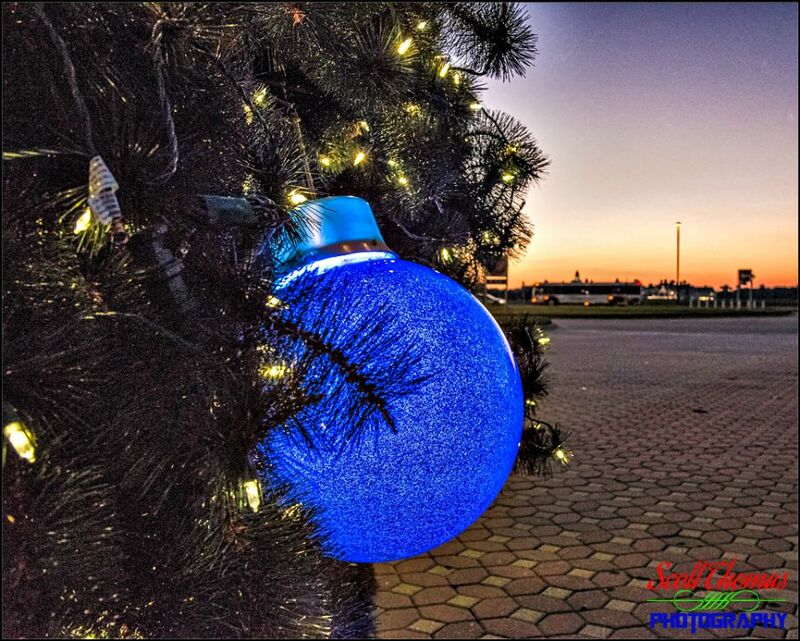 Ornament on the Disney’s Contemporary Resort’s Christmas Tree. Nikon D750/24-120VR, 1/50s, f/8, ISO 6400, EV -0.6, 31mm Focal Length. Natural lighting after sunset is almost as magical as Walt Disney World.